A luxury Sandalwood Black Reed Diffuser. This beautiful Sandalwood Black Reed Diffuser, woody scent exudes a warm sensual fragrance. 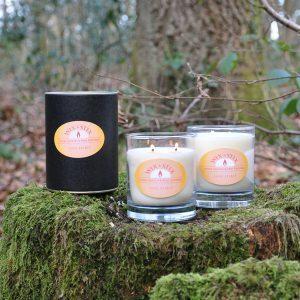 Its exotic accord stems from the combined woodiness of sandalwood and cedar wood, which is intertwined with the stylish blend of patchouli and soft musks. This Sandalwood reed diffuser is hand made by us in the United Kingdom and presented in a superb black gift tube. An excellent gift for yours and and especially for you.